Manchester United have only played a total of ten games across three competitions since the season began in August, but they have already racked up an incredible total of 32 goals so far. Everything just seems to find its way into the back of the net at the moment. Last season, one of United’s main issues was finding a way to score, and they were over reliant on Zlatan Ibrahimovic to bang in the goals, with the Swede scoring 28 in all competitions. There was an overpowering feeling that the supporting players around him – viz. Rashford, Mata, Mkhitaryan and Martial – just weren’t scoring enough, and it affected the team badly in the Premier League, having had a number a 1-1 draws throughout the campaign. This season has been the polar opposite though, and it seems like the goals won’t stop flowing in. The best part of it all is that the strikers haven’t just been coming from one single player. Mkhitaryan has without a doubt been one of the main stars of the show, and he already has 5 assists to his name. He has been brilliant in terms of creating chances and setting up his teammates. 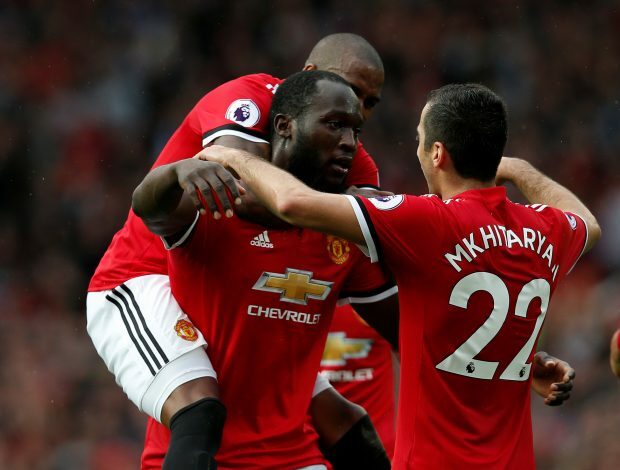 Yet, still, an eagle-eyed supporter has noticed that there is still some room for improvement for the Armenian and his partnership with Lukaku. The fan posted a collage of five separate occasions where the Armenian had Lukaku ahead of him and only needed to play an easy pass to him, but didn’t do so. Had he found the Belgian, it can be assumed that Mkhitaryan might have had 10 assists by now, and Lukaku, 15 goals.